This summer I spent two weeks under the Tuscan sun, pretending to be Dianne Lane, but without the broken down house. I stayed with friends at a beautiful villa in Pomaia, with olive orchards, wild boar (prosciutto), and enough cheese to clog arteries. But it was worth it. Italy is always a healing experience. So when I heard about an organic vineyard whose grapes were sweeter, heartier, and more pest resistant from playing Mozart for them around-the-clock, every day, I just had to check it out. 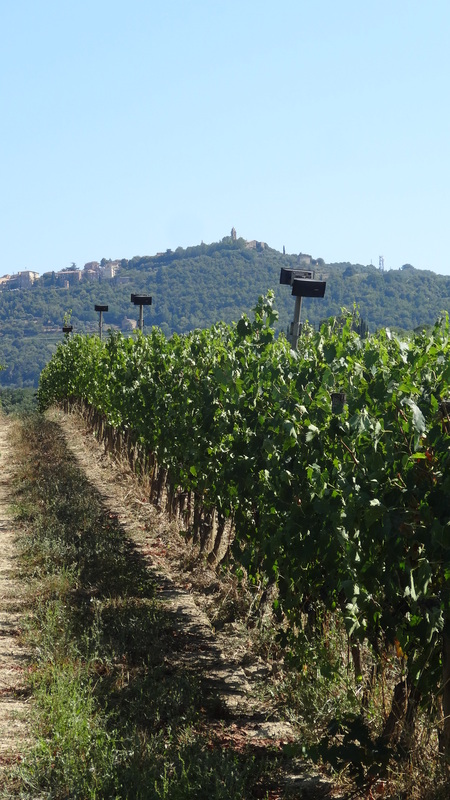 Il Paradiso di Frassina vineyard, located in Montalcino, Italy near Sienna, is a family owned business run by Giancarlo Cignozzi and his son, Ulisse. I got the inside scoop from Ulisse that in 1995 his father had a vision while partaking in a hallucinatory Ayahuasca ceremony in Brazil. He saw himself growing grapes to the sound of music. Both inspiration and a new vocation were born from that experience. Giancarlo ditched the corporate lawyer world of Milan and headed for Tuscany. 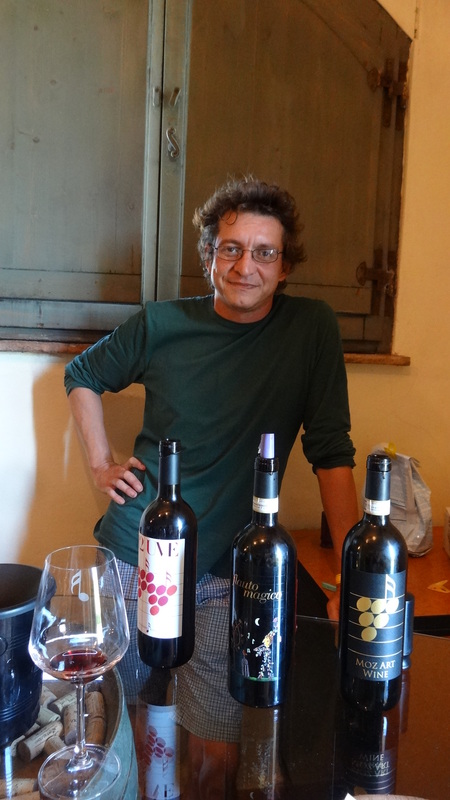 In 1999 he bought a Montalcino vineyard in disrepair and started experimenting with Sangiovese grapevines and music. While he admits also using composers Bach and Tchaikovsky, he found that the grapes really dug the piano and violin concertos of Mozart. 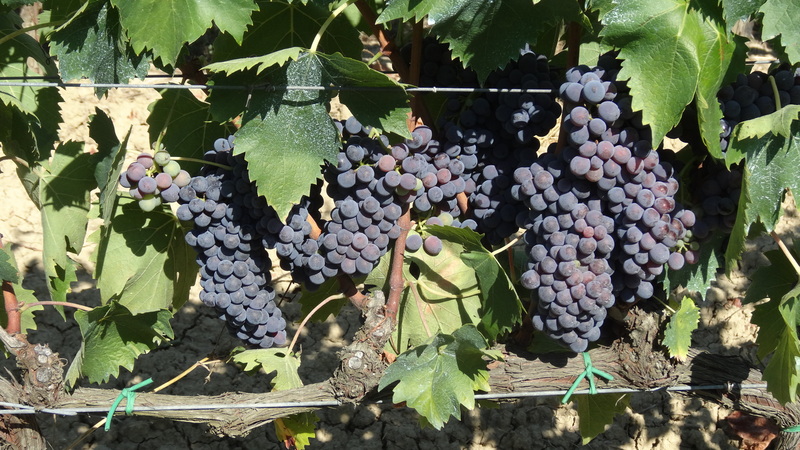 Today they call Giancarlo “the Wine Whisperer.” His serenaded grapes may be the happiest in all of Tuscany. The incredible taste of his high-priced Brunello Reserve Flauto Magico wine quickly gained recognition in some rather interesting places. In 2005 the ortho floriculture departments at both the Universities of Florence and Pisa, proposed a collaborative research project on the effect of sound frequencies on plants of the vine. They were especially interested in how music might be a natural repellent to mold, bacteria, parasites, and grape predators. Their hunch proved correct. Certain music makes such destructive pesticides like Monsanto’s Ready Roundup totally unnecessary. As word spread, the Bose Corporation in the U.S. donated 100 of their best sound speakers to be placed on poles every 20 feet in the fields. Not only did the grapes grow towards the music, but the ones closest to the speakers grew bigger. Experiments revealed that plants thrive best with sound frequencies in the low 100 – 400 Hz range. To keep things scientific, they set up a control group field that didn’t get any music to see what would happen. As one might expect, those grapes were not nearly as happy or hearty. Walking through the sunny vineyards, hearing the sound of Mozart, and inspecting the grapes is an incredible experience. You feel joyful. You want to dance under the Tuscan sun and celebrate life. I plucked lush grapes off the vine and they were sweeter than sweet. I couldn’t wait to test the vintage, which proved to be just as rewarding. I asked Ulisse what it was like for the family and workers listening to Mozart all day long. I wondered if the “Mozart Effect” made them any happier or brighter, as some human studies have shown. Ulisse laughed and admitted that sometimes he would rather just listen to a little Jackson Browne. I guess it’s easier to make plants happier than humans. CLICK HERE for Il Paradiso di Frassina’s website.